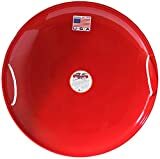 When I was a kid, the best sled for flying out-of-control down a snowy, wintry slope was always the saucer sled, except mine was made from some cheap plastic. 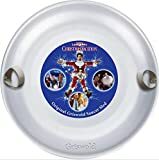 Well, now the classic Flexible Flyer Steel Saucer Sled is back and Clark W. Griswold would approve. 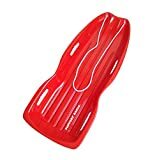 Be sure not to use any non-caloric, silicon-based kitchen lubricant that creates a surface 500 times more slippery than any cooking oil though. 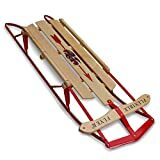 Now get out there and try to set the new amateur, recreational, saucer sled land-speed record!